I thought I would write a little stream of consciousness, "Random Act of Posting" post today. Perhaps this will become a regular thing too. I just have little random things to tell you. 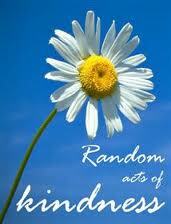 Random acts of kindness...posting...come on! Listen...check out all the important info I am giving you in this post people! I know my regular followers are waiting for Part 7 of my series "I'm Not Going To Let Myself Go!" (to catch up on that one click here), and that is coming peeps, but I am on deadline for my next What's Up Magazine article - yes one that actually brings me income - so that takes precedence this week! In the meantime, check out their cool website! This is What's UP Margazine. 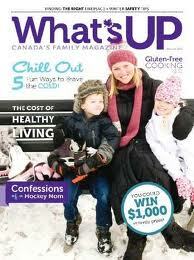 See where is says "Confessions of a Hockey Mom" on the cover? I wrote that! Read it here! 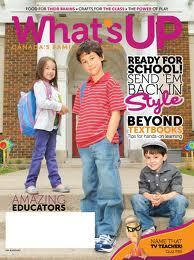 My friends Cheryl and Jameel Khan's 3 adorable kids are on this cover. But I don't like to not post for days at a time. It pisses me off when I follow blogs and I see nothing for a week. Now I am not saying I won't do that. There are many scenarios where that just may happen. And there are many bloggers out there who have a zillion reasons why they can't post regularly. Frankly I don't know how I do it...but I have the motivation of wanting to make writing a career. Yes...I said it friends...I want to write. For more money than I making on this blog. But it is growing. And people are taking notice. And I love you all for it. Hugs to you all! So at the moment, my husband Rob is at the ice hockey rink with boy other boys because Julian has yet another practice with his team The Mississauga Braves. He is off work this week so that makes things a little easier. 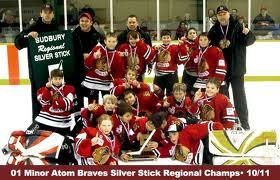 This is my son julian's hockey team after they won the Silver Stick Regional tournament last year. Julian is in the row second from the bottom, second kid in on the right-hand side. I know you were looking for him.he really needs a shower in this shot. And tomorrow he is taking them to a Toronto Blue Jays game. The boys were making signs earlier because they really want to get on the jumbotron. I got on the jumbotron before and I kept hiding my face and peeking up to see if I was still there. Well, this made the crowd laugh so they kept keeping me on the frickin thing. It was pretty funny. To everyone but me. Well...NOW it's funny. The current Toronto Blue Jays logo. The CLASSIC and my much preferred Toronto Blue Jays logo. Recap: The Toronto Blue Jays won the World Series two years in a row. It was a few years back...but hey! It was awesome. So was the SKYDOME. I will never call it whatever they call it now. Anyways...I am also wondering what to make for dinner. I am thinking perhaps nothing this evening. There is leftover pizza from pizza night yesterday and my mother in law brought over some homemade soup (here is how she makes it...true Italian yumminess!) and some lovely, fresh organic veggies from her garden so I think we may just have a meal. Yay! I am also enjoying season 4 of the show Dexter which I am watching on DVD with Rob. If you don;t know Dexter it is a black comedy about a serial killer who only kills serial killers who have not been caught. Well, of course you can click on it and find out lots but don;t tell me anything because I am still watching. I had to add this link with my eyes closed as I don't want any spoilers!!! The writing is disturbingly wry and genius. Sometimes I wonder why such a gruesome show would interest me so...but good writing combined with good acting turns my crank. And black comedy is my thing. 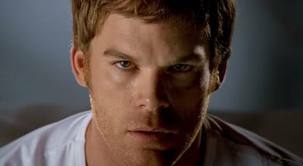 This is Dexter Morgan. I chose this pic from the opening credits because I think he looks kinda hot here. For other pics of hotness, click here. Besides...one can only watch so much of The Bachelorette. And no I have not started watching Bachelor Pad. And and no I am not watching Big Brother this summer and I am quite proud of these facts. (I am also proud I am not adding links to give you more info on these shows). Not that there is anything wrong with watching them. Actually, I didn't even know that Bachelor Pad was starting so that is the main reason I missed the big season premiere. I just may catch an episode or two. Vices die hard. You already know that though...especially if you watch Dexter. So a few other things. I am on twitter which many of you now know but my handle is (surprise!) @thehugginghome so come and follow me! I also have a Facebook page. Check it out here! 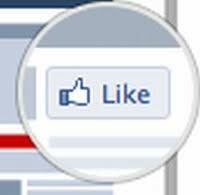 Remember to "like" The Hugging Home"! In case you are not wearing your glasses...just being of service. I have created a little daily newspaper called "The Hugging Home Daily" that I am just tweaking now, but it will bring you some articles and blog posts of interest on a daily basis. The Hugging Home's posts have already been included in a number of these "Daily" on-line newspapers - ones specifically geared for moms, writers and simplicity. I am happy about that. I will link you up when I know what I am doing a little better in this area. I know. I am now a social media whore and I kinda get my jollies from it. But I still love open houses too. Remember my post about my home staging? No? Well funny that - you can simply click here to read it! I will also be having 3 pieces from this blog re-published on Wellx (Your Wellness Exchange), starting on August 29 from what I understand. More info to follow...I will link you up...but in the meantime, check their site out! I have an article on the topic of parenting with presence that hopefully will be published on vividlife.me and you should check out their site too...so much great info and wonderful articles about living authentically. This logo came out really small. But their website is BIG! And awesome! I have gotten some interest from other bloggers via my "Blogger Seeking Bloggers!" post, so expect a few guest posts of interest in the not too distant future. Yes folks, The Hugging Home has planted a few trees out front in the "Hugging Yard" and we are branching out a little. I know. That was lame. So...I have a lot of other fun and interesting things to tell you, but I home is quiet for a few brief, peaceful moments as my baby naps and I do need to get to that article. And pee. And comb my hair. Oh frick! Drew just woke up JUST AS I TYPED THAT! Murphy's Law. Who the frick is Murphy anyways? Well click on it people and find out! I am a plethora of information today! Random act of posting my friends! Anyways, I'd like to kick him in the jingle jangles. But that would not be very nice. Maybe he just needs a hug. 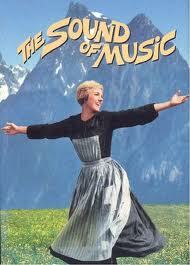 On that note (oh crap....I feel some movie/show tunes swelling up inside my head!!!! ), I had better sign off. I have a better idea!!!!!!! Guess what is in my head? I know it is only Wednesday...but that is two days before every ones favourite week day. I just shared this with Rob and he then wanted to kill me. I made him watch the whole thing. Now you will probably want to sock it to me too, but hey...I think it is funny...and remember, she is just a kid who I think is brilliant because now she has a record deal so who is laughing now? And who is posting it on her little blog? PS: This post was supposed to be a quick one but took waaaaayyyyyy longer than planned. Murphy's Law. You're hilarious. That's all I have to say, and you were made for this S#&%!